Appropriate pre-planning with life insurance means that there will be cash available to complete a business succession plan. A classic definition of a market: there is a need and the ability to pay. The simple fact is that the business arena represents one of the best markets for life insurance in the current economy. Life insurance fills a plethora of financial needs, but it can be particularly powerful as a tool in the business market. The life insurance needs for business owners are many: succession planning, key person, estate planning, executive benefits, etc. And their ability to pay is particularly evident. Companies have been stockpiling cash because they are unsure of their expansion plans, unclear about the financial effects of the Patient Protection and Affordable Care Act (PPACA), and unimpressed with the market returns on their capital. If you can make the case for life insurance, the cash for the premium may well be there. And the opportunity is there as well. LIMRA’s 2013 report, “Small World, Trends in U.S. Small Business Market,” reveals that only about 20 percent of businesses have life or disability insurance. One of the most compelling current needs for life insurance in privately owned businesses is as a financing tool for funding business succession plans. Part of this need is driven by demographics. Business owners who are interested in succession planning are generally Gen X and Baby Boomers who are becoming increasingly aware that they don’t want to work in their businesses forever. Further making the case for succession planning is the fact that we are in a post-recessionary economy. Many business owners who survived the Great Recession have come to the realization that they want and need an orderly exit from their businesses. Particularly with a closely held business, succession is a major concern when the owner leaves the scene. Without planning, the departure of an owner can leave a company without strategic direction, capital or successor management. There are some basic steps all such companies need to go through to help assure a successful business transition. 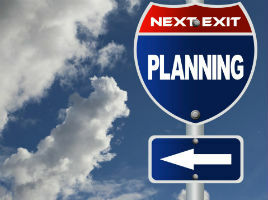 Planning team — First, there needs to be a financial team in place to help create and execute a business succession plan. Attorneys can’t underwrite life insurance plans and insurance agents can’t write wills. This is a group exercise. Goals – Business continuation has different meanings for different owners. It is incumbent that the owner’s desires be clearly laid out prior to designing a succession plan. What is the owner’s motivation, and what outcomes are intended? Is the business a major source of retirement income for the owner, spouse and children? Is this not only a business, but a legacy? A plan — Businesses don’t transition themselves. A plan is needed, and the earlier it is established, the more likely it is to be successful. The plan must not only deal with goals (retire at age 65, sell for $2 million, etc. ), but also with contingencies (death, disability, divorce). In creating a plan, there are three basic elements to keep in mind. First, the design must be realistic and doable. If a sale is involved, the timing and terms of the sale must be created. If a gift is involved, the value must be established and transfer scheduled. Next, legal documents must be created and legal requirements followed (transfers recorded, tax disclosures filed, etc.). Finally, financing must be arranged. Rare is the case where a business owner just hands over the keys to the business. Liquidity will be needed to both cover contingencies and fulfill business succession agreements. Consider the many financial challenges that business owners are facing when it comes to business continuation in the current economy. Lending, for example, is nowhere near as available as it was in prerecession years. To depend on being able to borrow money to execute a business succession plan is nothing more than wishful thinking for most privately held businesses. Consequently, owners must consider pre-funding their plan. What tools should be used for prefunding? Interest rates on liquid funds are at near historical lows; there is simply little yield on savings. Further, business owners are now paying higher taxes. This causes their inadequate yields to be worth even less on an after-tax basis. And finally, there is the issue of timing. The need for liquidity to fulfill a business succession plan is not only date-driven, but event-driven. The need for transition funds may not only be driven by a fixed retirement date, but also by an unknown disability or death. Life insurance can be a key solution to these financial challenges. First, it offers timing flexibility that no other pre-funding technique can replicate. Sinking funds don’t accelerate funding when there is an unexpected death. Reserving is no more than an accounting entry unless there is cash available to actually execute a planned buy-out. Further, life insurance offers one-of-a-kind tax advantages. Not only are death benefits generally received income tax-free, but with proper structuring the cash values in life insurance can also be accessed as loans from the policy to create an income tax-free retirement income stream. Taking loans will reduce the cash-value of the policy, and if the policy lapses, those loans will become taxable as regular income. After-tax yields can be higher than comparable taxable vehicles. Simply stated, appropriate pre-planning with life insurance means that there will be cash available, when needed, to complete a business succession plan. The proceeds can help pay taxes, complete a buy-sell agreement, provide liquidity while the company moves to a new leader, or a myriad of other calls on cash when ownership transitions. What kind of life insurance? Just as there are different needs for life insurance in business succession planning, there are different kinds of life insurance to fulfill the plan. There is no black or white as to the appropriate kind of life insurance policy to use. Term insurance is commonly associated with business succession planning. For a comparatively low cost, it offers insurance coverage on owners during their working years. The key drivers are cash flow and period of coverage. Permanent, cash value life insurance offers more flexibility for a concomitantly higher cost. There are several drivers that may tilt the decision to permanent versus term coverage, assuming the business can afford the additional attendant cost. Permanent life insurance can cover more contingencies in a business succession plan. Not only does it provide a death benefit if there is a premature death, but it also offers cash values to complete lifetime aspects of succession planning. A well-funded cash value policy may provide a down payment or even installment payments on a buyout of the owner at retirement. Levelized cash flows are possible with permanent life insurance. If multiple owners are involved, cash value life insurance can be used to smooth out the costs of a business continuation plan. While insurance premiums function similar to sinking fund payments as a way to level out annual outflows, they also offer the advantages of both death benefits and cash values to cover the contingencies of death, disability or departure. Term insurance only offers the advantage of tax-free death benefits. In contrast, permanent life insurance has the added advantage of tax-deferred growth of cash values. “Diversification” has become a financial mantra for many business owners. The Great Recession taught many that they had too many eggs in one basket — their business operations. Placing excess capital in a tax-advantaged, self-completing financing tool (i.e., life insurance) is a way to lock in the funding for a business succession plan without subjecting the funds to the vagaries of business operations. As an advisor determining the appropriate life insurance design to recommend, consider studying other policy features that may enhance the business succession planning process. So-called lapse protection riders can help assure that a policy doesn’t collapse from too much borrowing. A more recent trend is for life insurers to offer chronic illness riders. With personally owned policies, this can provide a way to essentially commute a death benefit into a tax-free source of income in the event of a long term care event. These are just two examples of the many features insurers have added to their policy designs. It is nothing new to use life insurance as a funding vehicle in business succession planning. Current economic conditions, however, have made this market more viable than ever before. Decreased lending, increased taxes, stockpiled cash, and a desperate need for diversification all have come together to make 2014 a year in which life insurance can be the financing tool for businesses.